New Book: Play to Learn! 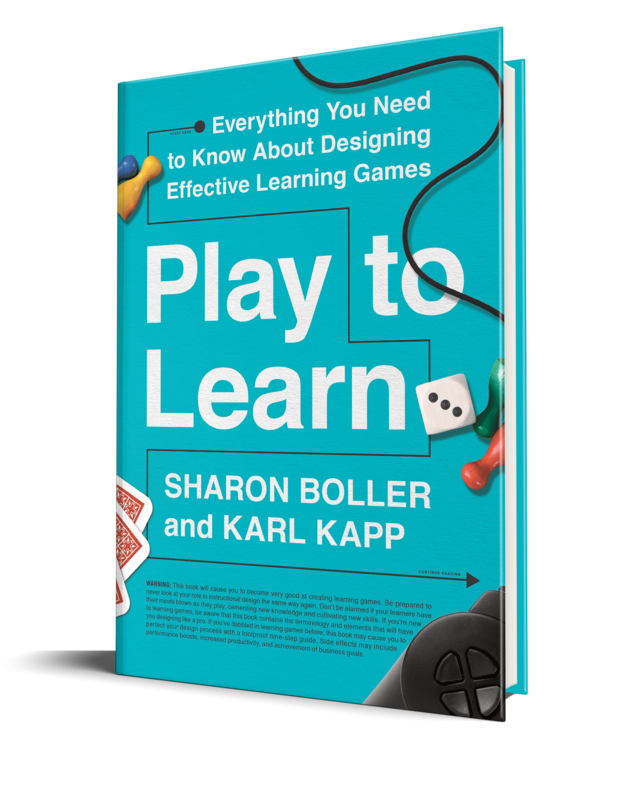 I got a present in my mailbox today — it was the paper copy of Sharon Boller and Karl Kapp’s new book, Play to Learn! I’d already agreed to be a stop on their Blog Book Tour, but it’s lovely to have the hard copy in hand. They based the book on the workshop that Karl and Sharon teach about the topic, which is why (I suspect) the book is loaded with so many interesting activities and worksheets for designing learning games. Along with Karl’s other books on gamification, this is a really good practical entry on the topic of learning games. And they have you analyze Plants Vs. Zombies (a personal favorite). -Sharon and Karl are doing a webinar: Learn more about Play to Learn – Register for Sharon and Karl’s webinar on Tuesday 3/28/17 at 1 pm. In it, they will expand on some of the key learning game design steps covered in Play to Learn. This entry was posted in Games, Instructional Design, Uncategorized and tagged ATD Press, Book, How much do I love Plants vs Zombies?, Karl Kapp, Learning games, Play to Learn, Sharon Boller, This much! by jdirksen. Bookmark the permalink.